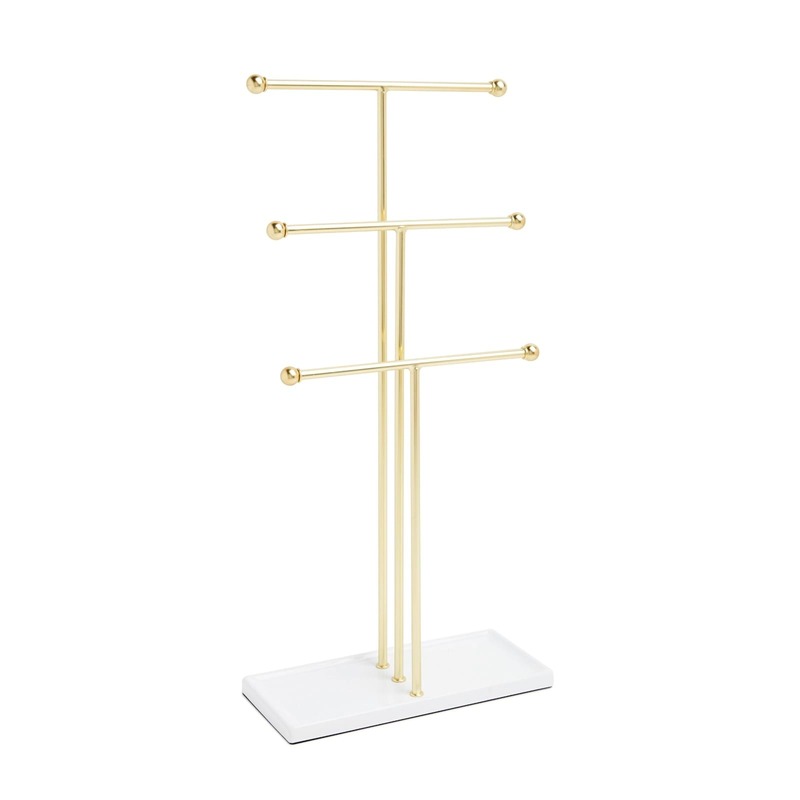 Trigem three tier jewelry stand by Umbra features a high gloss white base and brass bars to hang your beloved jewelry. 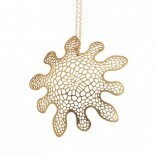 A stylish jewelry organizer for necklaces, bracelets, earrings, rings and watches. EASY TO SEE EVERYTHING: The three-tier design of Trigem allows you to store and display multiple necklaces, of different lengths, all in one place, making getting ready easier. No need to remove all your necklaces off a single hook just to pick the one you want to wear. INTEGRATED ACCESSORY DISH: The base of Trigem doubles as a jewelry dish for added accessory storage. 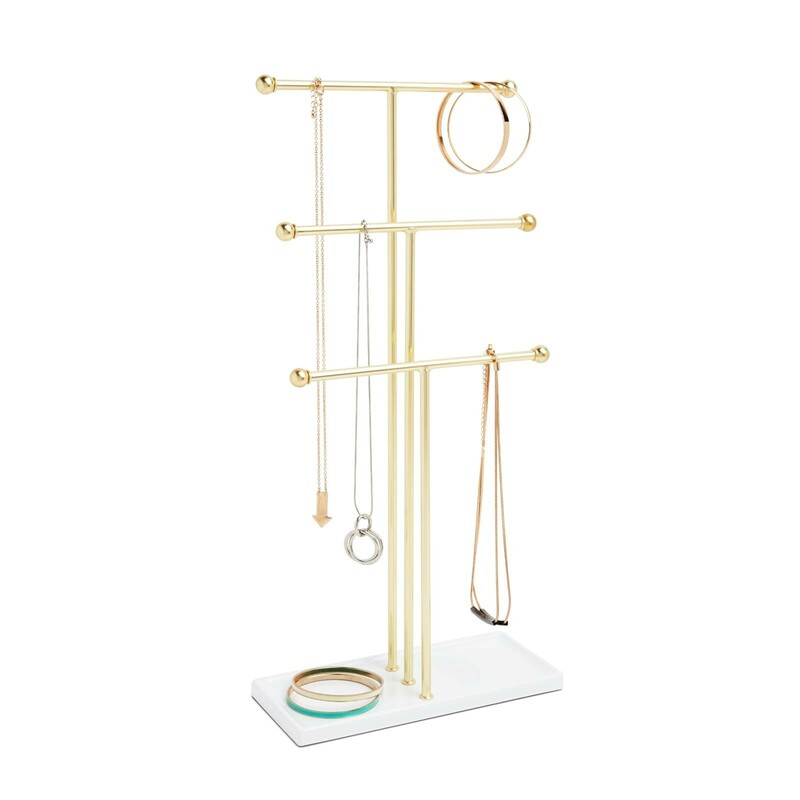 In addition to functioning as a necklace holder, Trigem can also be used as an earring, ring, and bracelet holder, it’s a one-stop-shop jewelry display for all your favorite pieces! 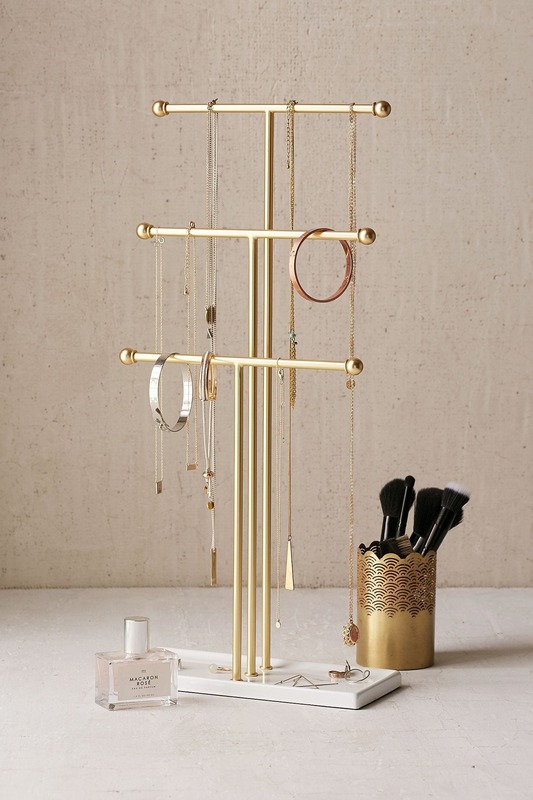 SLEEK DESIGN: Designed by Alan Wisniewski for Umbra, Trigem not only works as a functional jewelry organizer, it also works as a sleek and simple necklace display that you can use as décor. PADDED BASE: Trigem comes with a padded base to protect your furniture from getting scratched or ruined, no need to go out and purchase rubber feet or protectors! Three tiers for hanging jewellery. Dimensions: 48 x 23 x 10 cm.